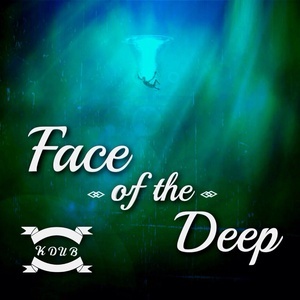 On Oct. 21, 2014, K-dub released a nice 14 track album called, Face of the Deep. It has at least five tracks definitely worth listening to. This is the 1st album available on Sola Tunes from K-dub. Some of the best tracks on Face of the Deep are The Church, Election (feat. Marrio Esco), Limited Atonement, Face of the Deep (feat. B.I.P. ), and Heretics (feat. Loud The MC). The full 14 track list is: #1 Face of the Deep (feat. B.I.P. ), #2 Depravity (feat. Kevin Ross), #3 Hypostatic Union, #4 The Church, #5 I Choose You, #6 Election (feat. Marrio Esco), #7 Limited Atonement, #8 Evangelism, #9 Heretics (feat. Loud The MC), #10 Joel Osteen (feat. Steve Lawson), #11 The Gospel (feat. X-Sinnerman), #12 Repentance (feat. B.I.P. ), #13 Self Deceived (feat. X-Sinnerman), and #14 Outro.